At Nike we are always on the offense, and we are looking for talented self-starters with a passion for advanced analytics to join our growing team. 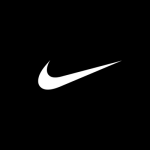 We are responsible for leveraging predictive analytics to enhance decision making and drive to action against our strategic priorities, elevating the function of analytics within Nike. 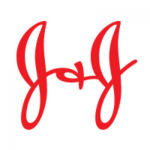 As a Senior Data Scientist on the Marketplace Advanced Analytics team, you will play a lead role on a team of cross-functional partners and analytics professionals in the development and enhancement of statistical forecasts and predictive models to estimate unconstrained demand, and allocate limited edition footwear across the multi-geo marketplace. You will employ advanced techniques for data aggregation and feature engineering in an AWS environment, and apply data modeling and machine learning techniques in unique ways to prescribe actionable recommendations to drive value for Nike. The role is perfect for a team player with strong hands-on analytics experience, drive, and curiosity. You know how to rise above the numbers and explain the essential insights to business users, and you instinctively minimize complexity to focus on results. While you rely on data to prove your point, you love to think outside the box and solve problems creatively. Your experience helps you prioritize and overcome blockers and guide the work of others on your team. You thrive in an entrepreneurial environment, and you are excited by the challenge of building something from the ground up. You ask questions, are continually learning as well as finding opportunities to share knowledge with others. Advanced quantitative degree (Statistics, Mathematics, Economics, Computer Science or related field) and at least 3-5 years of related industry experience or Bachelors degree and 5-7 years related industry experience. E-commerce and store retail experience preferred.